At Aquascene, we demonstrate our commitment to tourism excellence in our everyday practices. commitment to nature conservation and reinvestment into our local community. and engaging delivery, of our message of conservation to preserve this very special place we call home. By working together, our industry can help protect our amazing planet and preserve its natural wonders. and be active in taking steps to live greener lifestyles. A myriad of marine and bird life are encountered on our tours including sea turtles, dugongs, fish life and sea birds. We educate all of our guests to respect and protect these animals in their natural environment including the fringing reef that we snorkel on. Actions we can take to protect it for future generations. we do on a daily basis. Aquascene are proud to be "Citizens of the Great Barrier Reef"
Magnetic Island is situated within the Great Barrier Marine Park and protected by the Great Barrier Reef Marine Park Authority (GBRMPA) whose management is guided by a range of plans, policies, regulations and legislation, which sets out GBRMPA’s functions and responsibilities. All operators utilising the marine park pay an Environmental Management Charge (EMC) to the GBRMPA. The funds received from the EMC are vitally important in the day-to-day management of the Marine Park and in improving its long-term resilience. Aquascene contributes to the EMC reef charge on each tour we operate. 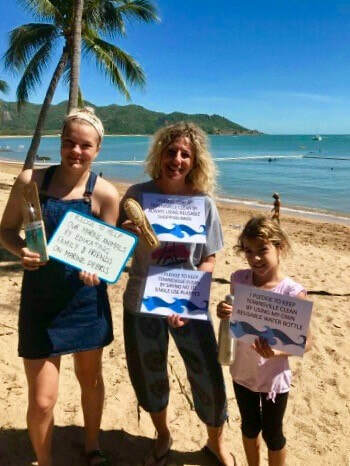 Leading the way on Magnetic Island, in 2017, Aquascene joined the "Last Straw" commitment. We were the first tour boat on Magnetic Island to lead the way. We encourage other businesses to go straw-free. If everyone simply said “no straw please” when they ordered a drink, the number of straws ending up in our oceans would reduce by millions. 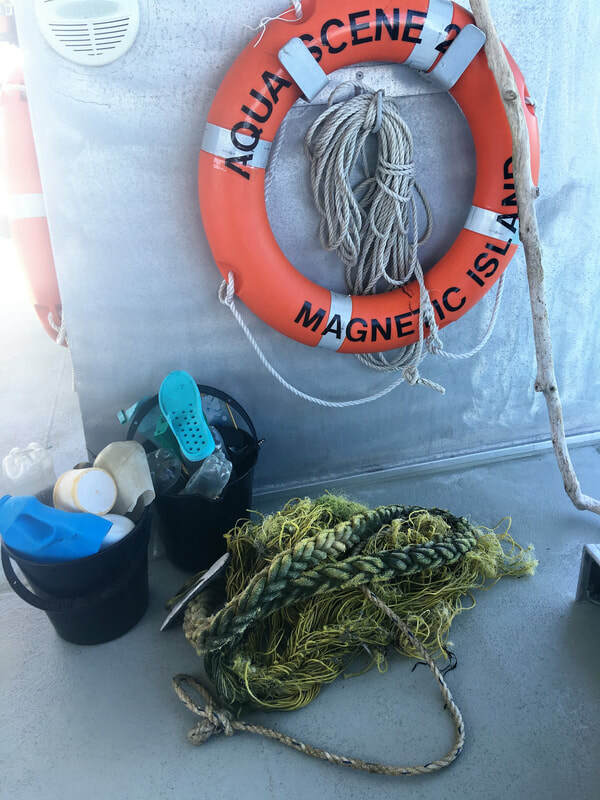 Tangaroa Blue Foundation is an Australian registered charity focused on the health of our marine environment, and coordinates the Australian Marine Debris clean-up programs. 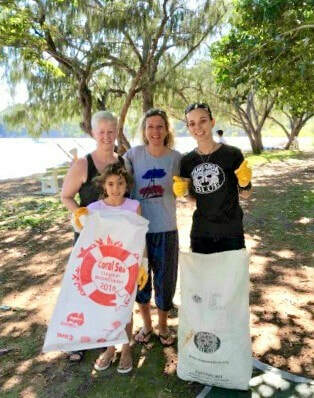 Aquascene is proud to support Tangaroa Blue in their local projects and clean-ups and we have regularly participated in beach clean-ups. for all creatures great and small......in and out of the water.